Keep track of your units, and you’ll be fine on ratio questions. 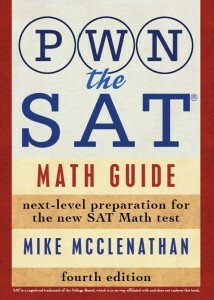 So here’s the thing with ratios and proportions on the SAT: they’re really easy. No, seriously, where are you going? Come back! They’re easy, I swear. All you have to do is keep very close track of your units, and you’ll be good to go. That means when you set up a proportion, actually write the units next to each number. Make sure you’ve got the same units corresponding to each other before you solve, and you’re home free. Pass Go, collect your $200, and spend it all on Lik-M-Aid Fun Dip . So uh…let’s try one? A certain farm has only cows and chickens as livestock. The ratio of cows to chickens is 2 to 7. If there are 63 livestock animals on the farm, how many cows are there? So when you casually multiplied by 63 and solved, you solved for a unit that won’t do you any good: the [(cow)(animal)]/(chicken), or COWNIMALKEN. That’s terrifying. Nature never intended it to be so. Not only are you unwisely playing God, but you’re getting an easy question wrong. Before we can solve this bad boy, we need to make sure our units line up on both sides of the equal sign. So let’s change the denominator on the left to match the one on the right. Get rid of “7 chickens” and replace it with “9 animals.” Get it? 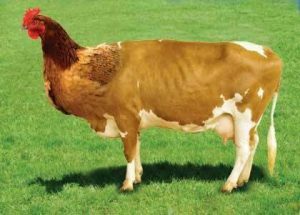 Because cows count as animals, if there are 2 cows for every 7 chickens, that means there are 2 cows for every 9 animals. Now, we can solve: x = 14 cows. That’s choice (B). See how the units cancel out nicely when you’ve properly set up a ratio question? That should make the hairs on your neck stand on end. The ratio of students to teachers at a certain school is 28 to 3. The ratio of teachers to cafeteria workers is 9 to 2. What is the ratio of cafeteria workers to students? Since the question asked for the ratio of cafeteria workers to students, just flip it and you’re done! 1 cafeteria worker to 42 students. That’s choice (A). Ah-mazing. For number 19, I just used ratios to figure out that it’s D. It isn’t like your example above where you cancel out units, right? So yeah…either way works here. Which do you like better? and to get a common denominator for Sean (30) i would have to multiply 5 by 6, and i did that for the 9 HR to get 9×6 = 54. Could you please do #12 on the math diagnostic drill #1? Sure. There are 2 ways to think about it. First, you could make both ratios contain the same number of nuts. Since you’ve got 4 nuts in the first ratio and 5 nuts in the second, let’s change both ratios to have 20 nuts. So now you have 15 croutons to 20 nuts, and 12 raisins to 20 nuts. That means you have 15 croutons to 12 raisins, which simplifies to 5 to 4. You could also flip one of the fractions and just multiply them to eliminate the nuts unit. I’ve attached an image (from my book) of what that would look like. It’s not necessarily more efficient than the above method, but it’s kinda snappy and I like doing these questions that way. So sorry I didn’t see this comment when it came in! If you’re still looking for a solution, I’ve posted one in response to “Pilot”‘s comment. Most people, I’ve found, find it most intuitive to just get everything in terms of the same number of nuts. Croutons to nuts is 3:4, so make that 15:20. Raisins to nuts is 3:5, so make that 12:20. Now you’ve got your ratio of croutons to raisins…15:12, which simplifies to 5:4. How do you solve #19? Does my reply to Echoyjeff222 above help at all? Yes! I didn’t look at the bottom comments. Thank you for your help, I really appreciate it! Can you explain no. 10 ? The ratio of boys to girls is 7 to 5, but we want to know about TOTAL STUDENTS. So we need to convert the boy/girls ratio to boys/total students. So we go to boys/(boys+girls), or 7/(7+5). The ratio of boys to total students is 7/12. From there, we can set up a proportion and solve: 7/12 = 14/x, x = 24. For this one, you just need to set up the proportion. But there are 2 tricky parts: 1) you don’t need to use the information about the eye of newt, and 2) 1½ is a mixed fraction; you should convert it to 1.5. Generally, mixed fractions appear in recipe questions—that’s about the only place you see them in real life, too. So your proportion is 1.5/2 = x/7. Solve that and you get x = 5.25 (or, in mixed fraction form, 5¼). I think it’s a useful way to go when you have units that aren’t going to matter for your final answer, like the fantasy baseball question (below). It’s certainly not the only way to go, though. Multiple equations with the more conventional cross-multiplication method will land in the same place.